Instead of polishing up their manifestos for the forthcoming Israeli national elections, which will take place in less than three months’ time, the country’s politicians have embarked on a shameless round of wheeling and dealing in a desperate bid to win as many seats as possible in Israel’s 21st Knesset. There is not much to mourn about the dissolution of the last Knesset, and especially not the government it supported. Benjamin Netanyahu’s fourth administration was not only a colossal failure regarding some of the most fundamental challenges that the country is facing, but it dragged the norms of corruption, incitements against political opponents and minorities, and general vulgarization of the political system down to even lower levels. Elsewhere in the democratic world, it is unheard of that an announcement of fresh elections should almost instantaneously result in the dissolution of old political parties, the formation of new ones, and politicians moving from party to party, as is the norm in the Jewish state. This is not evidence of political agility or pragmatism, it is rather an indication of the dubious morality and sheer opportunism of many of Israel’s politicians. They are looking to reinvent themselves as no longer an exclusively religious grouping in order to attract more secular voters. So far, there is nothing new about their extreme right-wing and clerical policies and rhetoric. Both Shaked and Bennett, in their respective ministries of justice and education, did their best to destroy the independence of Israel’s courts by pushing Jewish law in an attempt for it to rule supreme, and to inject schools with very high doses of a nationalistic version of Judaism. The chilling joint press conference of Shaked and Bennett — the odd couple of Israeli politics, who were once proteges of Netanyahu — was followed by two horror shows of political brutality that bore not even a semblance of acceptable electioneering norms and etiquette. The first was presented by the leader of the oddly named Zionist Camp, Avi Gabbay, and its larger faction the Labor Party; and the second by Netanyahu himself — who else? Gabbay unceremoniously called off his party’s alliance with Hatnuah, which is led by former foreign minister Tzipi Livni. While there might be some political logic to this, Gabbay’s convening a press conference and inviting Livni along without telling her in advance of his intention to split was an unnecessary act of public humiliation. It casts doubt as to whether he is fit to lead a political party, let alone the country. Netanyahu is looking increasingly desperate in his attempts to avoid being indicted and tried. The Zionist Union, which won 24 seats in the last election, has plummeted in recent polls to single figures. If this was an attempt by Gabbay to deflect from the predicament that the Labor Party finds itself in, it was a lame one. Even before he became party leader, it was in terminal decline. It had abandoned its natural working class, lower middle class and underprivileged base to become a free-market party representing the more affluent in society. 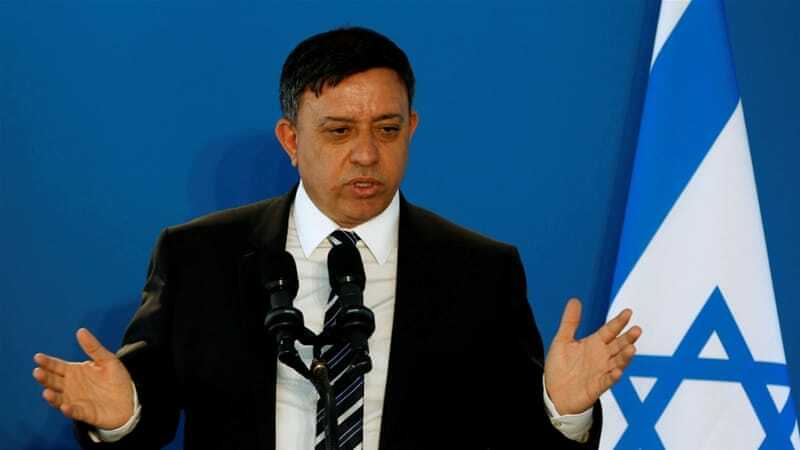 Gabbay, in his relatively short political career, has shown that loyalty is not his forte. He has already quit the more center-right Kulanu party with jarring discordance, only to take the reins of a group whose values and policies in terms of socio-economics and peace with the Palestinians he has very little in common with. He might have come from a family of modest means, but one doubts if there is a social democratic bone in his body. Moreover, the leader of the party that initiated the Oslo peace process with the Palestinians is by no stretch of the imagination an avid supporter of the two-state solution and a fit successor to the champions of a peace based on self-determination for both nations. His brutal dismissal of Livni, who might be the best prime minister Israel never had, may be a temporary distraction from his lack of direction or leadership but, in a matter of a few months, it may cast the party that founded the state and dominated its politics and society for decades into oblivion. The callousness of Gabbay was only surpassed by that of Netanyahu, whose prime-time TV broadcast, which was flagged up in advance as one that would deliver a “dramatic statement,” turned out to be just another of his vile attacks on the legal system and rule of law. He is looking increasingly desperate in his attempts to avoid being indicted and tried for his role in three bribery cases, as the police and the State Prosecutor’s Office have recommended. Bizarrely enough, he not only attacked the law enforcement authorities, which he as prime minister has a responsibility to protect, but offered to confront, on live TV, the state’s witnesses that gave evidence against him. This proposal that suggests Netanyahu is either buckling under the weight of mounting evidence against him and his wife and has consequently lost touch with reality, or is trying to turn due process into some sort of reality show that will enable him to inflict a major blow on the rule of law and keep him out of jail. While all of this is taking place, the new knight in shining armor of Israeli politics, former Chief of Staff Lt. Gen. Benny Gantz, has quietly registered a new party, patriotically named “Israel Resilience.” The opinion polls expect him to do well, but he has yet to share with the public what he stands for and his vision for the country. Gantz’s entry into politics has definitely thrown a spanner into the party political machine, especially for those who perceive themselves as centrist. This, together with the split in the right and Netanyahu’s recklessness in his attempt to prevent indictment before election day, will largely determine the course of the next few weeks, as individuals and parties align themselves and prepare to face the electorate on April 9.